The rest of our contact information remains the same. We’re all settled in now, and even hosted our annual reception here earlier in the month to showcase our new space. If you’d care to stop by for a visit we’d love to see you. You can send a note to Michael Murray (MichaelM@impactcapital.org) to set up a time, or just drop by if you’re in the area. There are many parking options near us around the convention center, and the Westlake Light Rail Station is only a couple of blocks away. Also? Up here on the 16th floor we have east and south facing windows, with stunning views of Mt. Rainier on a clear day. And, if you lean just a little, pretty good views of Mt. Baker, too. Impact Capital is happy to salute the most recent investor into our loan fund, Yakima Federal Savings. Impact Capital is based in Seattle, some 150 miles from Yakima, but IC strives to create and preserve affordable housing across the state of Washington (and in the Oregon counties of Multnomah, Washington, and Clackamas). The commitment of institutions such as Yakima Federal enables us to achieve our mission over this expanded geography. In addition, CEO Leanne Antonio flattered us by joining the Impact Capital board this month, and our once a year “board meeting on the road” will find us in Yakima this summer. We value this new partnership immensely, as we value all our community partnerships, whether they be next door or across the state. If you are interested in investing with Impact Capital, please reach out to Judith Olsen at Judith@impactcapital.org. We have CRA credit opportunities and, with our focus on affordable housing, a good mission-fit for your community development program. In addition to Leanne Antonio of Yakima Federal Savings, Impact Capital is also pleased to welcome Greg Winter (Opportunity Council, Bellingham) and Mark Smith (Housing Consortium of Everett and Snohomish County) to the IC Board of Directors this calendar year. As a CDFI, Impact Capital is tasked with responding to community need for access to capital. The diversity of our board, both in expertise and geography (our statewide footprint), enables Impact Capital to successfully work in low- and moderate-income communities to build and preserve affordable housing, and to create community facilities – like food banks and day care centers – that provide needed services. Impact Capital’s Board of Directors ventured north to Bellingham for their August meeting. Part of the morning was spent visiting several projects/sites, all of which were funded by the Bellingham Housing Levy. In the afternoon, after the board meeting and tour, area leaders joined in a roundtable to discuss their current initiatives and the challenges they face in their jurisdictions, which include Skagit, Whatcom, and San Juan Counties. Many of the issues faced in these northern counties, such as homelessness and a lack of affordable housing, are beginning to mimic in severity the problems seen in larger cities like Seattle. Impact Capital is excited to announce our new Preservation Loan Product, which will provide financing with terms up to five years, to help preserve affordable housing projects. (It should be noted we define “preservation” broadly, and includes efforts to preserve existing market rate buildings that provide rents at affordable levels) This product was developed as a response to the impending wave of affordable housing projects nearing the end of their required affordability period, and in danger of converting to market rate housing. This product offers flexibility to our borrowers, allowing them to combine multiple forms of financing, like acquisition, construction, and pre-development into one loan with the goal of preserving affordable housing. 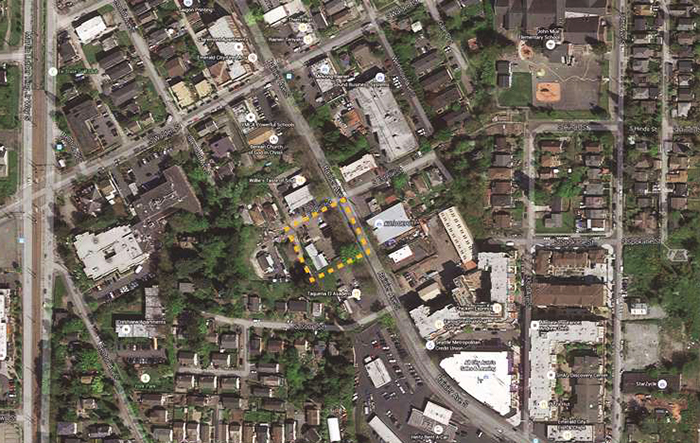 Impact Capital provided $1.65 million for construction and predevelopment financing to El Centro de la Raza to rehabilitate an existing 14-unit affordable housing project located in Seattle. The project is undergoing renovations to address deferred maintenance issues, improve energy efficiency, and extend the project’s useful life. The loan will be repaid through El Centro fundraising efforts, and possible additional investment from public funders. 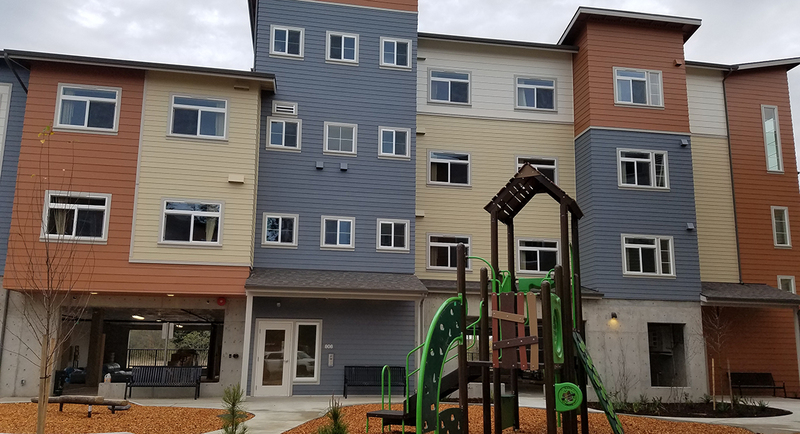 Impact Capital provided a construction and predevelopment loan for Mason County Housing Authority’s (MCHA) Kneeland Park project to position it for a long-term refinance. Kneeland Park, located in Shelton, is a former tax credit project that was taken over by MCHA and is currently five years past its 15-year compliance period, but the property still has a deed restriction that requires it to provide affordable housing. This loan is being used to pay for expenses related to resolving deferred maintenance, in-unit repairs to expedite re-occupancy, roof and fencing replacements, security system and fire suppression upgrades, and other significant exterior improvements. For more information on this new product, visit our website www.impactcapital.org/services/, or contact our Lending Team at seth@impactcapital.org, rachel@impactcapital.org, or michael@impactcapital.org. In 2016, Washington lost two individuals who not only made their mark on Impact Capital, but on communities across our great state. John Berdes was the founder of the original LISC office in Seattle. Over the years, that organization changed with the times to become what Impact Capital is today. John was passionate about IC’s work, and everyone benefited from his brilliant mind. Over the last several years we were privileged to share a suite with Craft3 in Pioneer Square and saw him on a regular basis around the office. Jayne Auld was a former Impact Capital Board member and true advocate for community development, not just in the sense of putting a roof over someone’s head, but enabling people to reach their true potential by connecting them to resources that would improve their lives. 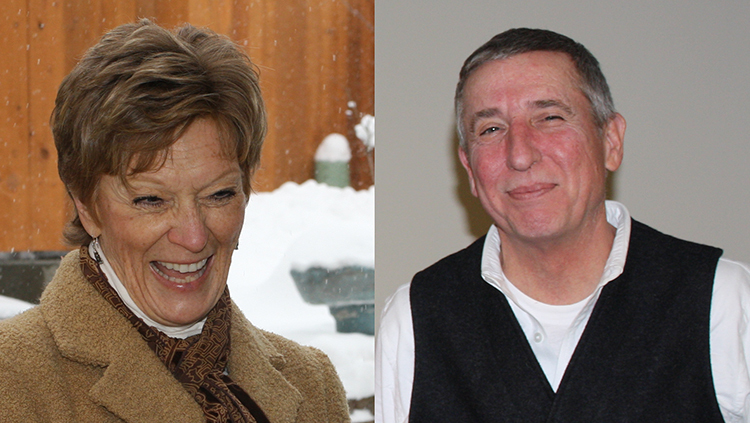 Jayne was a strong voice for Eastern Washington, and her compassion and dedication made her extremely effective. We will all miss them both very much. Welcome to the launch of the Impact Capital Newsletter and blog. We will use these channels to tell you about the great work happening in communities throughout our service territory of Washington State and the Portland metropolitan area. We invite you to subscribe to our newsletter by email. As you may (or may not) know, Impact Capital is a Community Development Financial Institution (CDFI) that supports nonprofit community building organizations. In September we were the proud recipient of a $900,000 CDFI Program Award, which will allow us to bring a new focus as well as new capital to the aging stock of affordable housing units in our service territory. And, as community development has everything to do with partnership, we want to salute some of our great community partners like Craft3, HomeSight, CASA of Oregon, and the Office of Rural and Farmworker Housing who were also awardees this year. For a complete list of awardees (including other important Impact Capital partners), take a look at the full 2015 CDFI Program Award Book (PDF). In other news, we have a new website up and running (finally! ), and are also very busy formulating a new strategic plan. I look forward to fruitful conversations with many of you throughout this planning process, and thanks to those of you with whom I’ve already spoken! We encourage you to Like Impact Capital on Facebook, Follow Us on Twitter @impactcapital, and by all means let us know what you think of our newsletter and blog. Next week meet the Impact Capital team at the annual Housing Washington conference in Spokane. Now in its 22nd year, Housing Washington is presented by the Washington State Housing Finance Commission and the Department of Commerce, in partnership with the Washington Low Income Housing Alliance. Housing Washington is a fantastic opportunity to network, discuss policy, plan future collaborations, check out sponsor showcases, or just catch up with affordable housing colleagues. Wednesday afternoon’s keynote speaker will be former U.S. Congressman Barney Frank, who will share his insights on affordable housing policy, elections, and impacts. Planning to attend the conference? 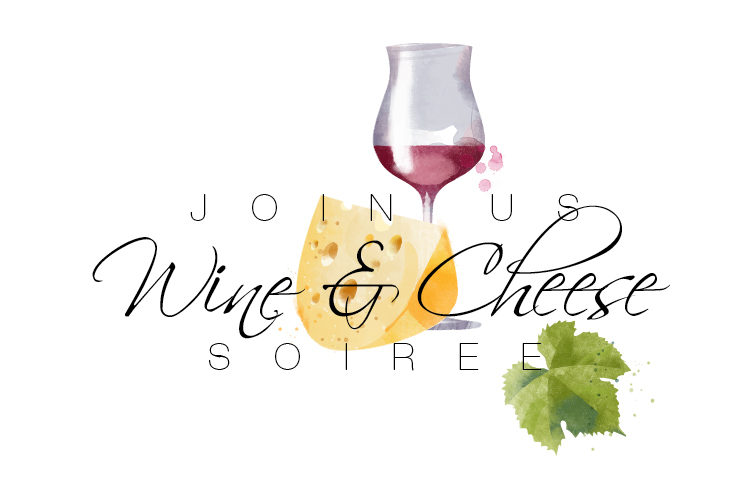 Unwind Tuesday evening with Impact Capital, JP Morgan Chase, the National Equity Fund, and the Beacon Development Group at our casual wine and cheese soiree, 6:30-8pm at the Davenport Grand Hotel, Birch Ballroom, 333 West Spokane Falls Boulevard (right across the street from the Convention Center). We’d love to see you there. Download the invitation (PDF). Join us October 18 at Seattle University for Sacred Land Common Ground, a forum for housing providers and the faith community. This forum is an opportunity for organizations to engage in the critical discussion surrounding affordable housing, as we work to make our communities more equitable for all people, regardless of income. Sacred Land Common Ground is presented by Bellwether Housing, the Church Council of Greater Seattle, Kantor Taylor law firm, the University of Seattle School of Theology and Ministry, and Impact Capital. Impact Capital provided Bellwether Housing with a U.S. Department of Housing and Urban Development (HUD) Section 4 grant to cover staff time needed for planning this event, and to cover the cost of a videographer. Please bring a friend and feel free to spread the word. We look forward to meeting you there. 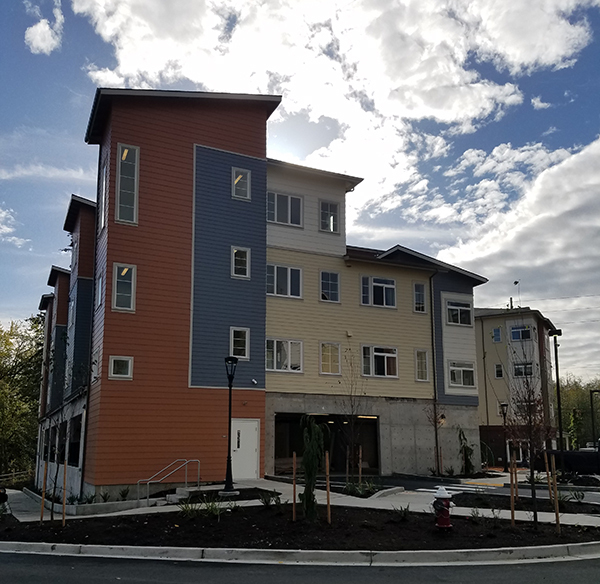 On September 15 Impact Capital was proud to close a loan with the Downtown Emergency Service Center (DESC) for their Estelle Supportive Housing Development in Southeast Seattle’s Rainier Beach neighborhood. The Estelle development will be a 91-unit studio / single resident occupancy (SRO) apartment building, including ground floor offices and space for support services. These units will provide permanent housing for homeless men and women living with disabilities, and there is the possibility a healthcare clinic will be incorporated into the site as well. To discuss a loan for your project, please contact Seth Benziger by email or phone (206) 658-2605.